Perfect for little hands! 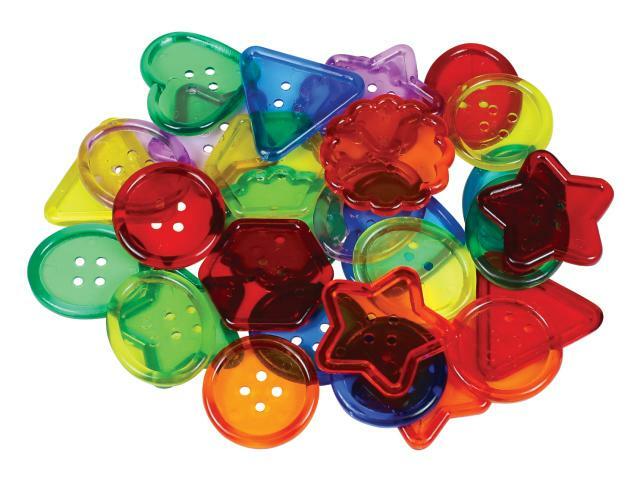 Introduces counting, sorting and shape recognition. They go great on any Light Panel, Cube or Box. Includes 30 buttons. Made in the USA.